Photo by Evans, Los Angeles. April 1918. 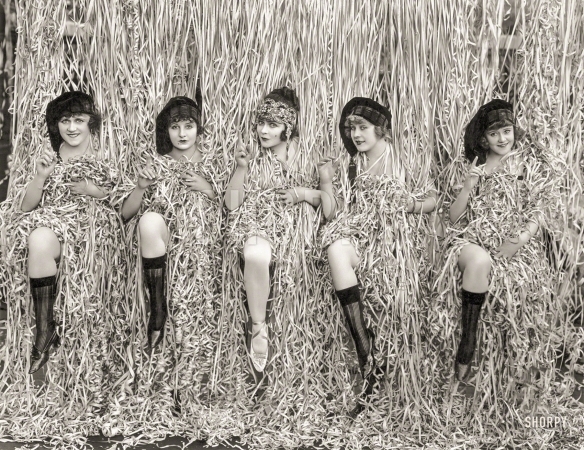 "Five Mack Sennett girls provocatively posed amid serpentine confetti."